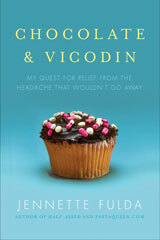 Mary Poppins sang that a spoon full of sugar helps the medicine go down. I guess the Tums product development team listened to her. 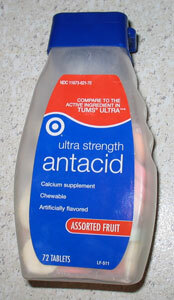 My stomach was grumbly last week, so I picked up some ultra strength antacids in assorted fruit flavors at Target. Technically they’re not Tums, just the generic brand, but I suspect they manufacture all that stuff at the same factory and just slap different labels on the bottles. When I got out to my car, I dumped two tablets into my hand and tossed them in my mouth before I could dwell on how bad they would surely taste. Chomp, chomp, chew, chew – yum, yum! Did they replace my Tums with Smarties? They tasted really good! They should rename them Calcium Candy. I reread the label which said I could chew 2-3 tablets as symptoms occurred, so I tapped another one out of the bottle and ate that too. Then I stopped, because I wasn’t sure how I would explain a calcium carbonate overdose to the paramedics. But I admit, I wanted to eat more! While it’s great that all medicine doesn’t taste nasty, maybe it would be better if it didn’t taste this good. When we were little, my younger brother got into the Flintstone Vitamins and ate half the population of Bedrock before my mother discovered him. This was followed by a desperate call to the emergency poison hotline and a sigh of relief when they told us he wasn’t going to turn into a dinosaur. My favorite medicine as a child was Dimetapp, which tasted like really sweet grape juice. I never started swigging it like water though. The Tums label says I can take two a day as a daily source of extra calcium. I might take them up on that. Just to build stronger bones of course, not for all that dextrose, corn starch and compressible sugar. Compressible sugar helps the medicine go down. Earlier: Ask a loser: How do I start running? I had severe indegestion at 3am a few weeks ago and thank god we have a 24 hr drug store around the corner. I likes the taste too..You’ve got to try Viavtiv calcium soft chews (wink) they are just like candies and I’ve been known to eat three to get my calcium in. I’m at goal weigh so it dident stop my weight loss. 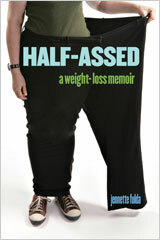 Congratulations with the amazing weight loss..I see its 3 1bs to the big 200..is there going to be a big celebration. I lost 52 1bs and feel amazing and I cant imagain how good and differant you feel. Tee hee-my brother, cousin and I did the same thing with the Flintstones vitamins when we were little. I shouldn’t laugh though, because it can be dangerous. We got such a talking to and finger wagging we were scared to take another pill again for many moons. PQ – Eva, just a note, please don’t leave comments in all caps. It makes it look like you’re shouting and we can hear you just fine. I’ve changed it for you, and it’s okay this time, but leave the caps lock off in the future. Thanks. My favorite medicine as a kid were Vick’s cherry-flavored cough drops. I know I ate a package of those things in one sitting at least once. Ah yes, medicine that actually tastes good. When I was growing up my physician made his own medication that tasted like black licorice (we grew up in the sticks and it was 30 years ago what can I say). I hate black licorice, however, these tablets were yummy!! I would take a few at a time and let them disolve in my mouth…until my mom and dad found out. Needless to say my candy pill poppin’ days were over. Those were the days! Saint Josephs orange flavored aspirin made it almost fun to have a headache when we were little! And I take Tums for calcium–the “smooth dissolve” kind are even more like candy, a little less chalky. Definitely beats swallowing those horse pills as an alternative. I’ve always thought that pepto bismol was DELICIOUS, so were the flintstones vitamins. Ha, I totally remember loving the Vick’s cough drops. My mom used to get the orange-flavored ones though, so those were my favorite. I also loved the liquid orange Triaminic. I found the leftover bottle on the shelf a few years back, and I opened it to smell it. I can’t believe I liked that stuff – it was WAY sweeter than candy, and these days with my healthy eating, I think most candy is too sweet! I loved the St. Joseph’s Orange Flavor children’s aspirin too. Once I found a type of orange sherbet that I really loved and I would eat tub after tub of it, and after a while I realized I liked it so much because it tasted just like the aspirin! I think it was the Kroger house brand of orange sherbet. I wouldn’t suggest eating tums or any ant-acids for extended periods of time. They reduce the stomach acid in your stomach (as the name says)and on a long term basis can cause digestive problems, reduced acid production (which you need in your stomach) etc. In general antacids are very bad for you…not something that should be eaten like candy for sure! My son just took his first round of antibiotics and he loved it, dancing around asking for it any time I opened the fridge door. I love Dimetapp. So much that I still take it to this day. Also, there are many cocktail recipes for “Dimetapp shots,” so there must be a lot more people who enjoy the taste of Dimetapp. When I was 4, my older sister gave out “candy” to me and the dog. We both survived, but I can’t stand the smell of the orange baby aspirin to this day. I will have to second FDR and Erin’s advice about not consuming anti-acids regularly. I saw your comment about possibly having a party when you hit your goal weight. I lost 100 lobs and when I hit my goal last year I took all the people that supported me through the process out for a night on the town. I am not a party person, and I am defitely not one to draw attention to myself – but it was an amazing and unforgetable night!!! Try it – you will be glad you did! PS as a side note – I have now also gotten a tattoo to celebrate my weight loss (first one and I am 50!). Do something important – you have worked so hard! My doctor heartily recommends taking 2 Tums Extra Strength per day for Calcium (1500 mg). Mind you, I’m 62-years-old so I have to worry more about calcium, but I’m pretty sure you’ll be fine. And yes, the fruit flavors are the best. When I was in 8th grade, a girlfriend and I got seriously addicted to cherry cough drops. We’d eat a box a day. Weird! Oh yes…antacids certainly ARE delicious! They now make Tums in a cocoa flavor. You take one that is chocolate and one that is white (I like to think of it as marshmallow) and it is almost as good as desert. Hall’s Cough Drops – not only delicious cough-stoppers, but they got me off of cigarettes. Then I had to get off the Hall’s, of course, but that was relatively easy. I have to second the commenters who say not to take antacids regularly. What they say is in accord with the information I’ve read. My side note is this: I’ve been reviewing your very impressive progress photos. May I suggest that for the big 170, before you snap the pic, tuck your hips in, throw your shoulders back and tighten your abdominal muscles — you’ll love how it feels and looks. I feel the same way about my vitamin C, it’s set up like a pixie stick and tastes just as good. how about those calcium chews that are chocolate? Be very careful with the TUMS or generic equivilant, they contain alot of calcuim…. eating them like candy can lead to some very painful kidney stones….don’t think you want to spend your christmas balled up on the floor of your hospital room in the fetal position screaming for drugs… I’ve seen it too many times where I work as a nurse. I ate through a bag of cherry flavored cough drops as a kid. The post above me (Denise) is kinda scary. And here I thought I was the only one who ever chugged a bottle of vitamins! Its strangely reassuring to know I’m not alone! I also really like that baby aspirin they used to give us that was kind of orange-ey – St. Joseph’s?